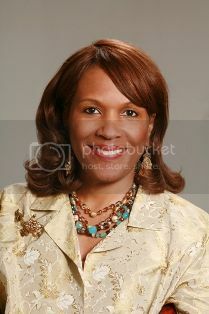 Via Black Tie Magazine: The New-York Historical Society presented Kimberly B. Davis, President of the JPMorgan Chase Foundation, with a distinguished service award at the annual Strawberry Festival Luncheon on Thursday, May 6, 2010. The event, celebrating women in philanthropy, began at 12:00 p.m. and concluded at 2:00 p.m., at the Metropolitan Club on Fifth Avenue and 60th Street. As President of the JPMorgan Chase Foundation, Kimberly Davis oversees the firm’s global philanthropic giving, employee volunteerism and strategic corporate programs. In 2009, the JPMorgan Chase Foundation gave more than $100 million through grants and sponsorships to thousands of not-for-profit organizations globally under Ms. Davis’ leadership. She ensures that the firm’s Foundation meets its simple philanthropic goal: target our highest needs communities worldwide for meaningful, positive, and sustainable change. Ms. Davis’s professional background in financial services has included sales, marketing, product management, strategic development and HR Development. She brings a skill set that sets her apart as an insightful and creative leader. Ms. Davis is a graduate and trustee of Spelman College, as well as a trustee of the Kenan Institute at the University of North Carolina-Chapel Hill. She is on the boards of The U.S. Chamber of Commerce Business Civic Leadership Center (BCLC), The Executive Leadership Council (ELC) and the Women’s Philanthropy Institute - Indiana University. In 2004, Ms. Davis served as the founding co-director of the Center for Leadership and Civic Engagement (LEADS) at Spelman College, and developed, designed and implemented a national conference focused on the leadership development of women of color, which has become an annual event hosted by LEADS at Spelman College. The Strawberry Festival is an annual benefit which recognizes dynamic women in public life. The event traces its roots to 1856 when guests would gather for a stimulating lecture and strawberry feast. Recent honorees have included Michelle Obama, Hillary Rodham Clinton, Christine Quinn, Betsy Gotbaum, and Kirsten Gillibrand, among others.